Gerard P. Hodgkinson is Vice Dean for Research of the Faculty of Humanities and Professor of Strategic Management and Behavioural Science at Alliance Manchester Business School. From September 2016-October 2017 he served as Deputy Head of the Business School. He has held previous appointments at the Universities of Warwick (2011-2016), Leeds (1999-2011), Exeter (1998-1999), Leeds (1995-1998), Sheffield (1988-1995), and Manchester (1986-1988). In his most recent appointment, at the University of Warwick, he was Head of Warwick Business School's flagship Behavioural Science Group, one of the world’s leading academic units in its field. 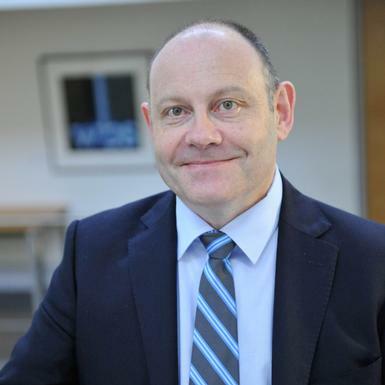 He also served on the Senior Management Team of Warwick Business School, as an Associate Dean, overseeing teaching quality across the School's full range of programmes. An elected Fellow of the British Academy of Management, British Psychological Society, Chartered Management Institute, Royal Society of Arts, and the Academy of Social Sciences, and an Academic Fellow of the Chartered Institute of Personel and Development, for eight years he was the Editor-in-Chief of the British Journal of Management (1999 - 2006) and for 11 years, with J. Kevin Ford (Department of Psychology, Michigan State University), he co-edited the International Review of Industrial and Organizational Psychology (laterly incorporated into the Journal of Organizational Behavior as The IRIOP Annual Review Issue). From 2002-2006 he was a member of the Grants Board of the UK Economic and Social Research Council (ESRC) and has served two terms as a member of the Executive Committee of the Managerial and Organizational Cognition Division of the (US) Academy of Management. From 2002-2005 he served as the Division's International Representative at Large. More recently, he has served as the Division's Professional Development Workshop's Chair (2007-2008), Program Chair (2008-2009), Division Chair Elect (2009-2010), Division Chair (2010-2011) and Past Division Chair (2011-2012). From 2004-2007 his research was supported through the competitive award of a Senior Fellowship of the UK ESRC/EPSRC Advanced Institute of Management (AIM) Research (£505,245.56). He is currently an Associate Editor of the Journal of Management and serves on the editorial boards of the Academy of Management Review and Strategic Management Journal. Registered with the UK Health Professions Council as a Practitioner Occupational Psychologist, over the past twenty five years he has carried out numerous consultancy assignments with public and private sector organizations. The (co-)author of more than 130 scholarly publications, an earlier version of his 2011 article with his Manchester-based colleague Dr Mark Healey, on the psychological foundations of strategic adaptation (dynamic capabilities), which was published in the Strategic Management Journal, won the Business Policy and Strategy Division's Sumantra Ghoshal Research and Practice Award at the 2009 Annual Meeting of the Academy of Management (Chicago, IL). Fellow of the British Psychological Society (FBPsS) (elected to Fellowship, October 2001). Fellow of the British Academy of Management (FBAM) (elected to Fellowship, July 2001). Full Member of the British Psychological Society's Division of Occupational Psychology.